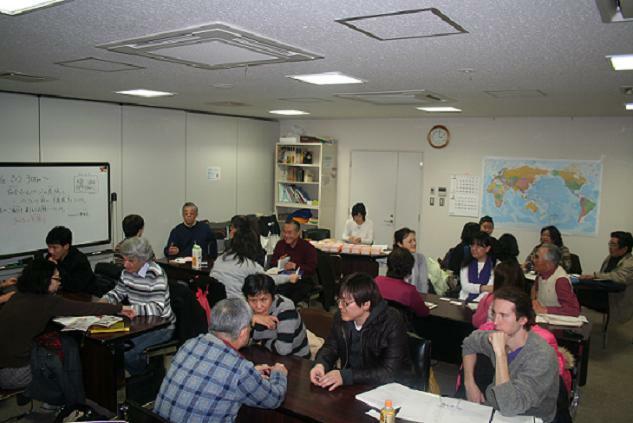 The Japanese Lounge provides a venue where foreign residents and Japanese deepen their mutual understanding through their conversations in Japanese. The English Lounge is designed for both foreign and Japanese citizens to promote mutual understanding through English conversation. Lively conversations in a relaxed, comfortable atmosphere touch upon a wide range of topics such as hometowns, daily living in Japan, school issues, Japanese culture, and more. The lounges provide opportunities for Japanese citizens to welcome foreign residents as their friends and initiate mutual understanding through exchanges and for foreign residents to join in local activities and contribute to the community. No advance registration is needed. Any foreign resident can immediately join the lounges while Japanese are simply required to hold MISHOP membership.